Band lineup subject to last minute changes, roam the neighborhoods and discover some new music and new friends. Bring some cash to tip the bands! 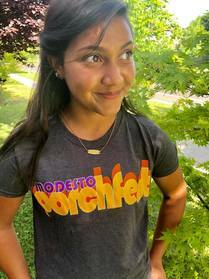 Grab a stylin' shirt and show your porchfest pride! $15, Mens and Juniors sizes in S-2X available.